Dan Muller has been making rifle barrels -- both cut and button -- for nearly 20 years. In the early 1990's, Dan started out volunteering on the weekends with the barrelmaker Mike Rock. Dan, along with Tim North, worked together to bring Broughton Rifle Barrel production to Wisconsin in 2002. Dan joined Rock Creek Barrels in 2005 and has been involved in all aspects of the production process. In 2011, Dan purchased his own barrel-making equipment and has maintained a close association with Rock Creek Barrels. 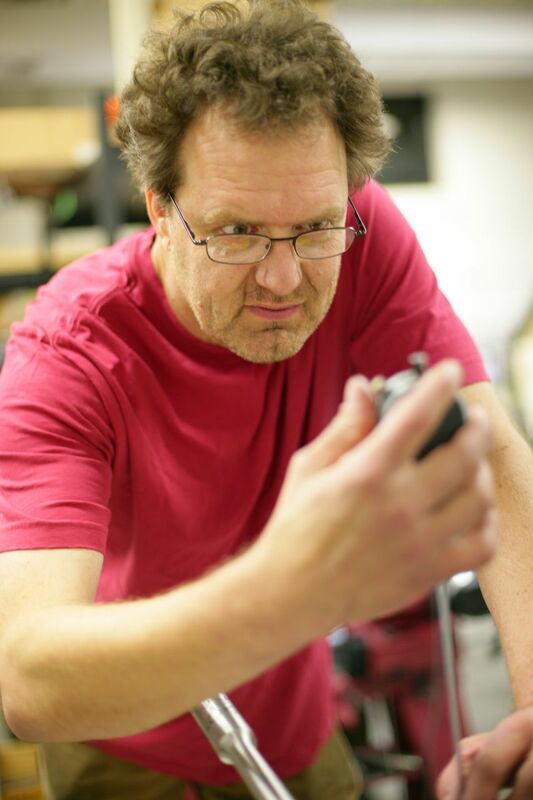 Dan received his undergraduate degree in painting from the University of Wisconsin - Oshkosh in 1983. Dan moved to New York City in 1985 to attend the graduate program in painting at Parson’s School of Design, where he studied under the painters Paul Resika, Leland Bell and John Heliker, as well as other visiting artists. While at Parson’s his work was selected to represent the school in a juried exhibition at the Beaux Arts Academy in Paris, France. After his graduation from Parson’s in 1987, Dan worked as a studio assistant for the conceptual artist Leo Rabkin and with a small stained glass firm in New York City. Dan moved back to Wisconsin in 1990, and worked as a stained glass craftsman at Oakbrook-Esser Studios in Oconomowoc until 2010. Dan has exhibited his artwork at the David Barnett Gallery in Milwaukee.